Home » batman , Justice League Action » San Diego Comic Con Panel Announced for Justice League Action Cartoon! San Diego Comic Con Panel Announced for Justice League Action Cartoon! The San Diego Comic Con is one of the biggest annual events in the country and certainly the epicenter for entertainment. 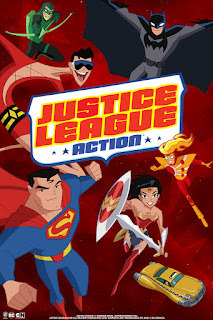 The anticipation is growing to see actual animation from the upcoming Justice League Action cartoon series, as many fans are waiting, hoping to find a series that they can get behind and not just label a show for kids. We now know the date and time for the video presentation of Justice League Action at Comic Con!